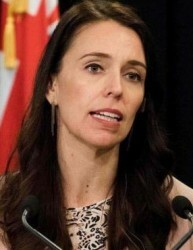 Today 12:00pm - Jacinda Ardern’s nuclear-free-moment speech on the campaign trail during the 2017 general election struck a chord. Tuesday - The cap on carbon prices should be lifted, the Government has been told. Tuesday - An expert in DNA is the Environmental Protection Authority’s new chief scientist. 18 Apr 19 - Climate change is already making New Zealand’s environmental problems worse and threatens the economy, a new official assessment of the state of New Zealand’s environment says. 18 Apr 19 - A capital gains tax might be off the agenda, but the Government isn’t ruling out environmental taxes recommended by the Tax Working Group. 18 Apr 19 - Spot NZUs opened at $25.60 bid and $25.70 offered this morning, after last fixing at $25.65. 17 Apr 19 - Labour could find solutions in its own files to the problem of putting a price on greenhouse gas emissions from agriculture. 16 Apr 19 - A New Zealand carbon market pioneer has died.